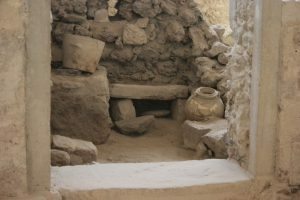 Explore the many secrets of the magical mystical Cycladic Island of Santorini, Greece, when cruising the Cycladic Island chain on a luxury crewed yacht charter, as tucked away on the Island of Santorini, excavations continue revealing the remains of an ancient wealthy trading city. 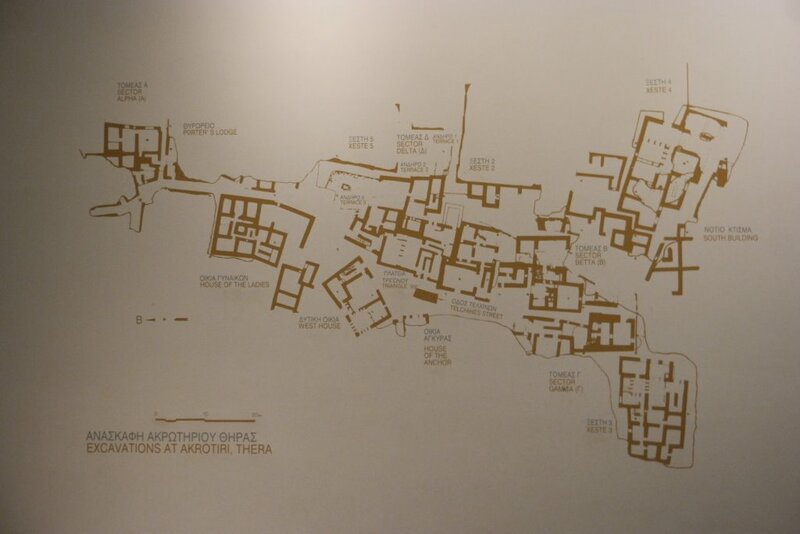 This is a city lost in time; covered by ash and debris in the massive volcanic eruption in the 1600’s BC when the island blew its top, literally. It was in 1967 that excavations began in earnest, and still continue at a site in Akrotiri on the island of #Santorini where only 5% of this ancient city is said to be revealed to date. The ruins are fascinating to see, and excavated artifacts are on display at the Archeological Museum in Fira. 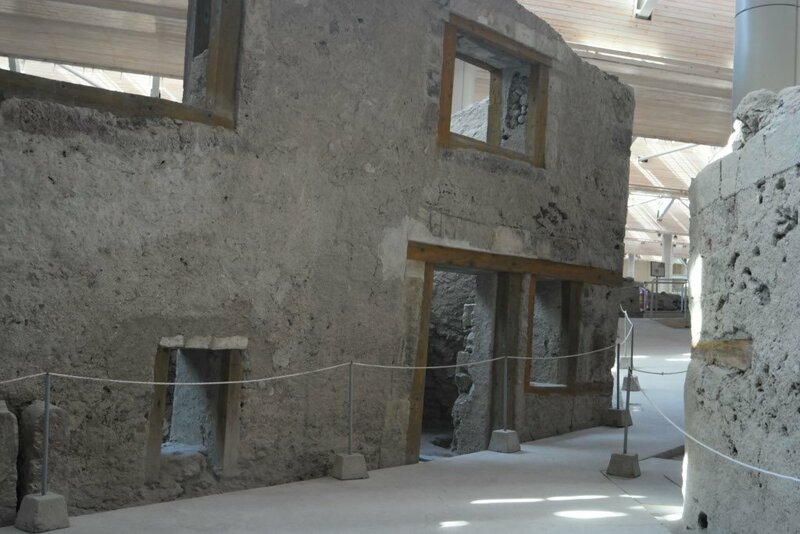 Include both the #Akrotiri Archeological Site and Archeological Museum in Fira on a land tour when visiting the #GreekIsland of Santorini on a crewed sailing yacht or mega yacht charter. 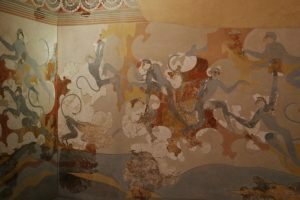 The lost city was discovered in the 1800’s in fields in an area of the island known today as Akrotiri. 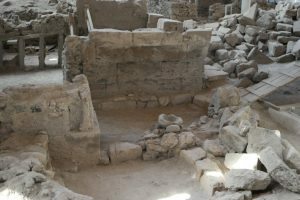 As the origin of the civilization that built this extraordinary city with three story apartment buildings, running water and a city sewer system was unknown, the excavations are now known as Akrotiri by their location on the island. Today only a small area of what was once an extensive wealthy trading city has been excavated. 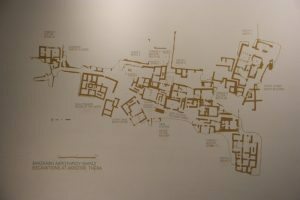 That which has been excavated, based on excavations in other parts of the world, is now felt to have been a wealthy Minoan trading city, that clearly evacuated the city before the final and most devastating volcanic eruption on Santorini Island covered the abandoned all for a city lost in time.